As she often did at a sirens’ sound, Roberts said a quick prayer. “Little did I know what I was praying for,” she said. “I need you to come to Charlie’s house right away,” he said, referring to their 32-year-old son. As she pulled into her son’s driveway, she saw Chuck talking to a state trooper. She clambered out of the car. “Is Charlie alive?” she asked. 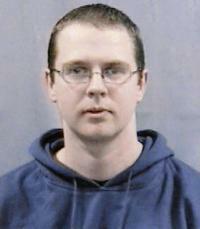 On Oct. 2, 2006, Charles Carl Roberts IV shot 10 Amish schoolgirls before turning the gun on himself. Five girls died. Five others were seriously wounded. The shooting shocked this quiet, rural county and horrified countless outsiders glued to the nonstop media coverage. “Not only was my son not alive, he was the perpetrator of the worst crime anyone could ever imagine,” Terri Roberts said. Five years after the shooting, the other side of the story is not well-known—that of a grief-torn mother seeking the still, small voice of God in the aftermath of tragedy. One place where Terri has found peace is at the bedside of her son’s most damaged, living victim—a paralyzed schoolgirl, now 11. “As we reach out in ways that bring a touch, we can find great healing,” Terri said. Family and friends poured into the Roberts’ home in Strasburg, Pa., a small town about six miles from Nickel Mines. No one knew what to say. “What do you say, `At least it’s not as bad as so-and-so’? There was nothing that anyone could imagine that would have been worse than that day,” Terri Roberts said. Later that day, an Amish neighbor named Henry, whom Terri calls her “angel in black,” arrived at their house. Chuck had begun a second career as an “Amish taxi,” driving families to destinations farther away than horses and buggies could carry them. After the shooting, Chuck feared he could never face the Amish again. “Roberts, we love you,” Henry insisted, and continued to comfort Chuck for nearly an hour. Finally, Chuck looked up. “Thank you, Henry,” he said. “I just looked at that and said, `Oh Lord, my husband will heal through this. I was just so thankful for Henry that day,” Terri said. Later, a local pastor escorted a grief counselor to the Roberts’ home. The counselor asked Terri how old her son was, and whether she had any good memories of him. The grief counselor encouraged Terri to think of the shooting as a sliver of her son’s life. She shouldn’t ignore it, the counselor advised, but neither should she live in its shadow. After the first few visits, Terri cried all the way home. “Lord, I can’t do this,” she said. But she went back the next week, and the next. “We had a son who did not have peace in his life,” she said. Charlie Roberts said in a suicide note that he hated God after the death of his first child. Faced with similar suffering—Charlie was Terri’s firstborn—his mother has taken the opposite path. Her son cursed God; she trusts in prayer. Her son acted out his rage; she reaches out for reconciliation. Terri laments that Charlie lacked what she calls “anchor Scriptures,” solid, biblical truths that sustained her during a bout with breast cancer and continue to comfort her now. She especially wishes Charlie had focused on Paul’s letter to the Philippians. “Whatever is true, whatever is noble, whatever is right, whatever is pure, whatever is lovely, whatever is admirable—if anything is excellent or praiseworthy—think about such things,” Paul wrote.